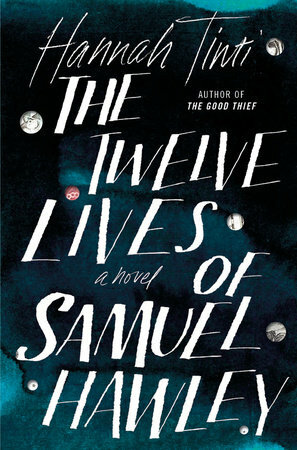 Award-winning author Hannah Tinti will celebrate the launch of her new book THE TWELVE LIVES OF SAMUEL HAWLEY (The Dial Press) at Greenlight Bookstore in Brooklyn on Tuesday, March 28th at 7:30 pm. Tinti will discuss her latest novel with fellow Penguin Random House author and One Story editor, Patrick Ryan. The author discussion will be followed by a wine reception to commemorate the book’s launch. 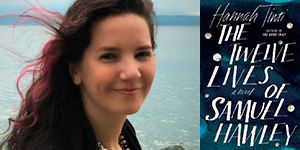 Hannah Tinti’s previous work includes the short story collection ANIMAL CRACKERS, which was a runner-up for the PEN/Hemingway Award, as well as THE GOOD THIEF, a New York Times Notable Book of the Year. Apart from working as a bestselling author, she is also the co-founder and editor-in-chief of the award-winning literary magazine One Story. Tinti will be joined in discussion by One Story editor Patrick Ryan. He is the author of the novel, SEND ME, and the highly regarded story collection, THE DREAM LIFE OF ASTRONAUTS, which was named one of the best books of 2016 by St. Louis Post Dispatch, Refinery 29, and Electric Literature.